I think I’ve have stated in the past that I’d rather rip out my own eyeballs rather than attend a church service, but I didn’t really mean it literally. Mr Aldo Bianchini, however, is made of sterner stuff. Perhaps the sermon was of such spine-liquefying boredom, or the stench of the pious became impossible to stomach, or he suddenly realised he had devoted half a lifetime to believing hogwash, but he actually did rip his eyeballs out during a service in northern Italy. Blood poured copiously from his vacant sockets, paramedics were summoned, and, no doubt, prayers were offered. 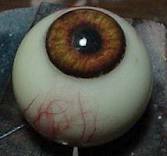 At the hospital, doctors attempted to cram the eyeballs back into their sockets, but it was like trying to stuff toothpaste back into its tube. Poor Mr Bianchini will be blind for the rest of his life. The Jasna Góra Catholic monastery near the town of Czȩstochowa in Poland is over six centuries old, having been founded by Pauline monks in 1382. 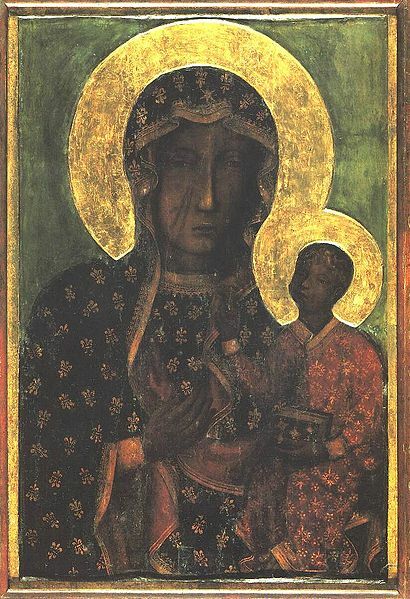 It is the home of the famous Black Madonna, an icon credited with several alleged miracles. It is also the site of a conference of exorcists held every two years. Exorcism is the driving out of so-called evil spirits by priests of the church. That there is no evidence whatsoever that these evil spirits exist is neither here nor there, they provide a ready excuse for a junket to Jasna Góra where, no doubt, the priests will partake lavishly of the excellent wines and delectable dishes of the region.